Men's singles -- Rafael Nadal (1), Spain, def. Dominic Thiem (7), Austria, 6-4, 6-3, 6-2. 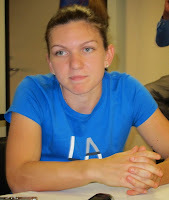 Women's singles -- Simona Halep (1), Romania, def. Sloane Stephens (10), Fort Lauderdale, Fla., 3-6, 6-4, 6-1. Men's doubles -- Pierre-Hugues Herbert and Nicolas Mahut (6), France, def. Oliver Marach, Austria, and Mate Pavic (2), Croatia, 6-2, 7-6 (4). Women's doubles -- Barbora Krejcikova and Katerina Siniakova (6), Czech Republic, def. Eri Hozumi and Makoto Ninomiya, Japan, 6-3, 6-3. Mixed doubles -- Latisha Chan, Chinese Taipei, and Ivan Dodig (2), Croatia, def. Gabriela Dabrowski, Canada, and Mate Pavic (1), Croatia, 6-1, 6-7 (5) [10-8]. Boys singles -- Chun Hsin Tseng (4), Chinese Taipei, def. Sebastian Baez (1), Argentina, 7-6 (5), 6-2. Girls singles -- Cori Gauff (16), Delray Beach, Fla., def. Caty McNally, Cincinnati, 1-6, 6-3 7-6 (1). Boys doubles -- Ondrej Styler, Czech Republic, and Naoki Tajima, Japan, def. Ray Ho and Chun Hsin Tseng (5), Chinese Taipei, 6-4, 6-4. Girls doubles -- Caty McNally, Cincinnati, and Iga Swiatek, Poland, def. Yuki Naito and Naho Sato (3), Japan, 6-2, 7-5.